Want to create your own event or project at O, Miami 2014? Added on November 1, 2013 by Scott Cunningham. 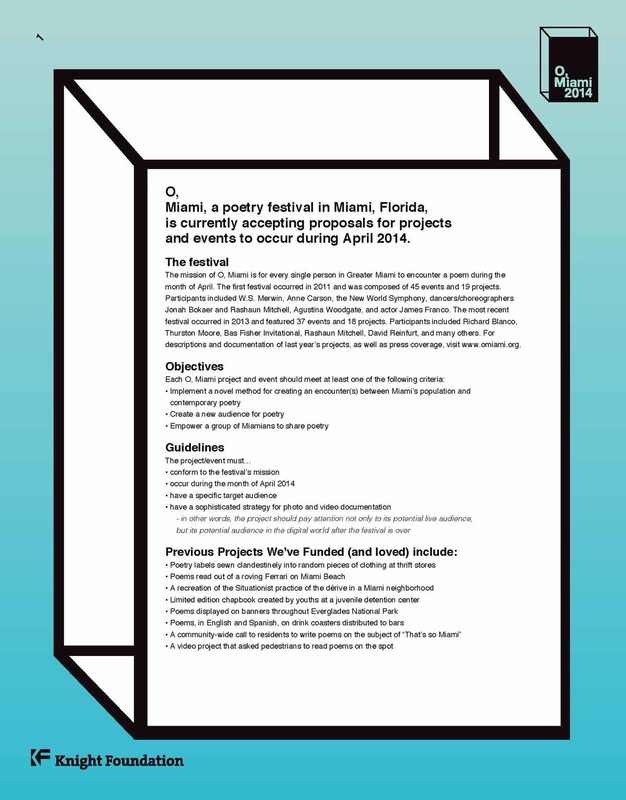 Then download the 2014 O, Miami RFP. All proposals are due by December 30, 2013. Some winning proposals will receive funding. All instructions and guidelines are in the RFP. We're looking for the ideas that find the most creative ways to reach a segment of the Miami-Dade County population. Note: You do NOT have to live in Miami to propose a project, but the event or project must take place in Miami-Dade County during the month of April 2014. For more on O, Miami, visit www.omiami.org.